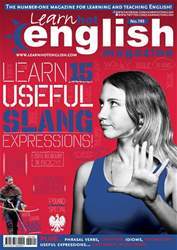 Digital Subscriptions > Learn Hot English > 193 > Pirates! EVERYONE LOVES PIRATES. YOU ONLY NEED TO LOOK AT THE SUCCESS OF THE PIRATES OF THE CARIBBEAN FILMS TO KNOW THAT. 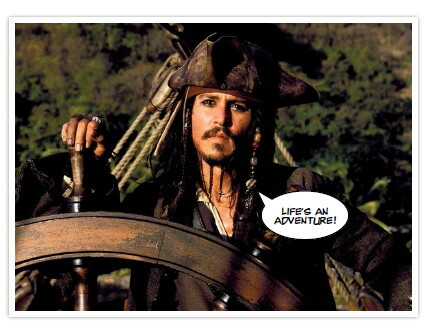 IN FACT, JACK SPARROW AND HIS CREW ARE ACTUALLY THE GOODIES IN THE FILMS! BUT REAL-LIFE PIRATES WEREN’T SO AMUSING. SO, WHY DO WE LIKE THEM SO MUCH? Why pirates are everyone’s favourite bandits. Perhaps the main reason is the pirates themselves. Many of them were so larger-than-life that they make Jack Sparrow look ordinary in comparison. The most famous of all is probably Edward Teach – better known as “Blackbeard”. Teach earned this nickname because of the large beard that covered almost all his face. When attacking ships, he would put hemp into his beard and set it alight to terrify his enemies. As a result, many thought he was “the devil himself”. Blackbeard struck fear into the hearts of everyone he knew and captured more than 40 ships. He was finally killed when the Royal Navy ambushed him on 22nd November 1718.